When buying a building that is in a historic preservation district there are many considerations to take into account, including zoning restrictions, restoration, and often, accessibility concerns. 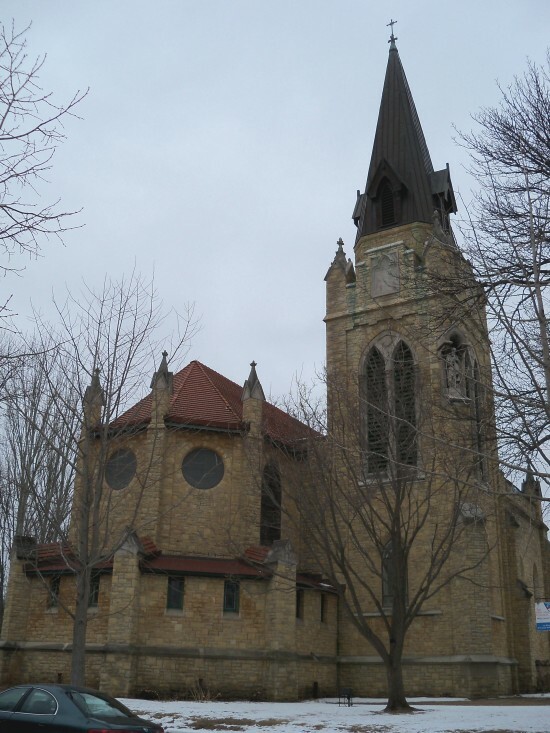 In the case of one St. Paul Church, now on the market, add deceased body to the list. 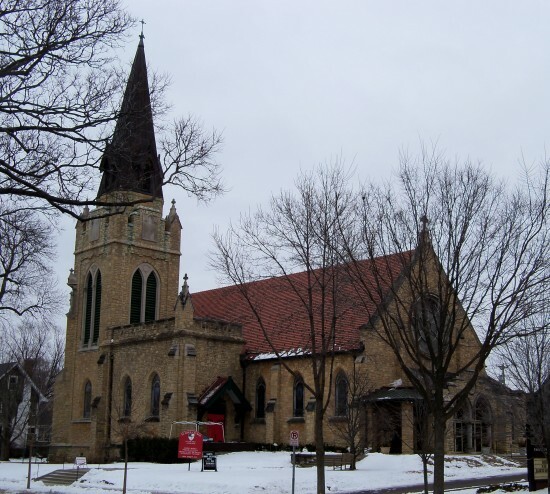 Shuttered a year ago, the historic Episcopal St. Paul’s on-the-Hill in St. Paul, Minnesota is up for sale. One caveat to purchase is that the building comes with the body of one of its former priests, which is not allowed to be moved. Located in a national and city historic preservation district, the church cannot be torn down, and the exterior cannot be altered. On the market for $1.69 million, the Gothic-Revival building comes with the pews, organ, a large rose window, 33 other stained glass windows, a saintly statuary, and the body of Priest John Wright. Wright was the priest during the building of the church and was buried in a crawlspace crypt under the sanctuary in 1919. The body cannot be moved because it is considered a “historic non-operating cemetery” according to real estate agent Jay Nord in a video discussing the sale with the Pioneer Press. Founded in the Lowertown neighborhood in 1857, the entire building was dismantled, redesigned and moved to its current location on Summit Avenue in the early nineteen-teens. The church’s designer, the École des Beaux-Arts–trained French immigrant Emmanuel Masqueray, is also the designer of the city’s notable Cathedral of St. Paul and the Basilica of St. Mary. Along with his church designs, Masqueray was also the chief designer of the 1904 World’s Fair in St. Louis. Though the church comes with some atypical “features”, it has other qualities that the seller hopes will attract a buyer in the coming month. Most notably, the acoustics of the nave are known to be exceptional, making the 6,000 square foot space suitable for a small concert venue. The property also includes 11,000 square feet of office and meeting space in a newer addition. With the building safe from demolition and alteration, preservationists need not worry about its future, yet it will still require a very special buyer who is willing to take on the unique responsibility of owning this building.